Intensive 2 day Classroom/LVC Training and 1 months LIVE Project mentoring. DataMites's Tableau Associate is a best course to accelerate your Tableau skills. This course covers the entire concepts of Tableau after building a strong foundation. Tableau Associate is an instructor led training, offered through virtual classrooms conveniently at your place. Being a business data analysts, you need to master the skills of communicating practical implications which is effectively achieved through this course. Certified Visual Analytics Expert (CVAE) is an authorized course from International Association of Business Analytics Certifications. This course is designed to provide a Visual Analytics knowledge with global standards and uses Tableau as tool for creating Visualization and Analytics reporting. Tableau is the most popular tool for Data Visualization and Analytics. Tableau can create stunning and insightful visualization with complex data with minimum effort. Tableau incorporate a simple but sofiscated data source management and data linking from multiple sources.Tableau is often used for business intelligence, statistic analysis and prediction as well. Being the IT hub, Bangalore is the most preferred place for many analytics professionals for its immense job opportunities that it is offering. 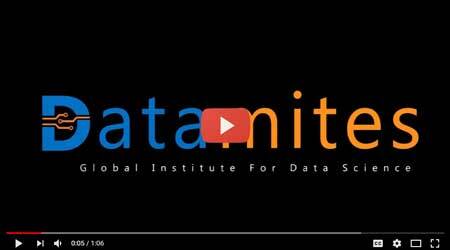 DataMites is the reputed institute offering many analytics courses, have not missed its hands on this most demanding “Tableau Training”. Both giant companies, as well as the start-ups, are looking for qualified analytics professionals with specialization course on “Tableau”. Loaded with many training providers, you would definitely be confused to choose the right one. Identifying the correct training provider is vital and especially for this Tableau training. DataMites is one of the few Tableau training providers which possess high-quality course syllabus and industry aligned live virtual training. Are you ready to learn A-Z of Tableau with Datamites to get converted into a high paying Tableau certified professional? Tableau is a data visualisation tool used to depict all the data analytics results in a pictorial way. Hence, it is considered as a most convenient way for an easy understanding of complex information. “Tableau Associate” is a best certification program to learn about this Tableau concepts without taking a break from your work. When you hold this Tableau associate certification, you are distinguished as an expert in that domain. In addition, you also get noticed by your internal managers or your potential employers. Your resume with this Tableau associate certification show case your interest and domain expertise. Infact, this acts as a professional boost and open doors to new opportunities. Take up this DataMites's Tableau associate training program and be confident to take up specialisation projects to prove your self to the higher management. Knowing about the advantages of learning this course would definitely make you understand the importance of specialising in Tableau. As a fresher, you notice that your resume has gained more weightage and better job opportunities with good remuneration approaching you. Working professionals can expect a promising career, better job opportunities and high salaries after attaining this "Tableau Associate" certification. Who should choose this "Tableau Associate" course? Best suited for Fresh Graduates and Professionals looking to move into analytics domain, Data Scientists, Business Intelligence Professionals, Software Professionals, Statisticians, Business Analysts, Project Managers and Data Visual Analysts Functional Experts. Our 100 + seasoned experts have vast knowledge on their industry who have the capability of dwelling deep into concepts and the business processes. Our in house content development team create tailor made training materials for a better clarity of the concepts. Datamites have a best support team to handle all our customer's queries. Being transparent with all our commitments is our biggest asset. We offer best industry rates for our training programs. We offer assignments, case studies and practical workshops which can help you to apply the concepts in practical situations at ease..
Will I get opportunities to work in any project in my training period? We do provide you with opportunities to work in real time projects so that you can apply your knowledge and also can implement your skills that you have acquired through our DataMites's Tableau Associate training. What is the process to acquire the certificate after finishing this course? Upon successful completion of this course, you would be tested with final examination and asked to complete a project. When you attain the qualifying scores, you would be awarded with our industry recognised DataMites certificate. Can I request a support session if I find difficulty in understanding any concept? We do have a dedicated support team who work for 24/7 to answer all your queries. You can call them at (phone number) or email them at (email address) or we do have live chat support. If your queries are not resolved through them, we do arrange a one to one session with the trainers.